Christina has spent her life dedicated to the training of horses and riders in the Hunter/Jumper world. She has co-owned Dusty Dog Horse Farm since 2006 and is the head trainer at the farm. She attended Mt. Holyoke College and was captain of the ISHA team for 3 years, leading the team to nationals twice. 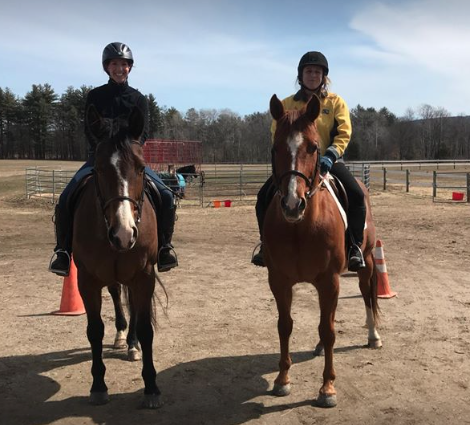 Upon graduation, she began catch riding and training, giving her the opportunity to start her own business, West Hill Farm, in 1992. In 2003 she made the move to further her riding career moving on from West Hill Farm to catch ride on the East Coast A circuit. Dusty Dog Farm was born from Christina's desire to combine her knowledge of the business with the pleasure of having a working farm and international sales business. Throughout her career she has continued to educate herself with the help of professionals in the business including Anne Kursinski, Carl Dena, Peter Leone, and Callan Solom, to name a few. 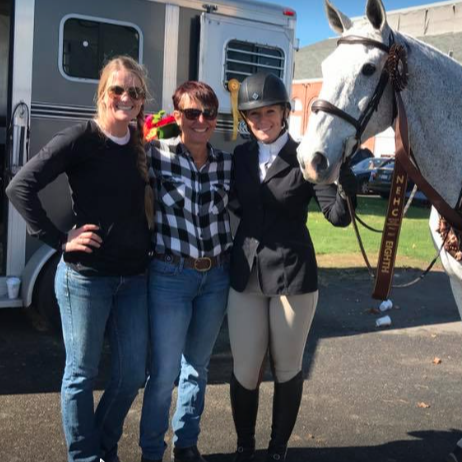 In recent years, Christina has made her way into the Dressage world with her horse, Mini Cooper. She is now offering beginner Dressage lessons as well as Hunter/Jumper! Christina is truly passionate about the horses and the business. Whether at home or at the shows, you will find her riding, teaching or pitching in and helping wherever need be. She is usually followed by her beloved dogs.